Very nice work, Scott. Is it animated or just a static model? Either way it’s great! You’ve got the weathering perfect! I can definitely confirm it’s a lovely model 🙂 🙂 – Thanks for the pre-release copy Scott. 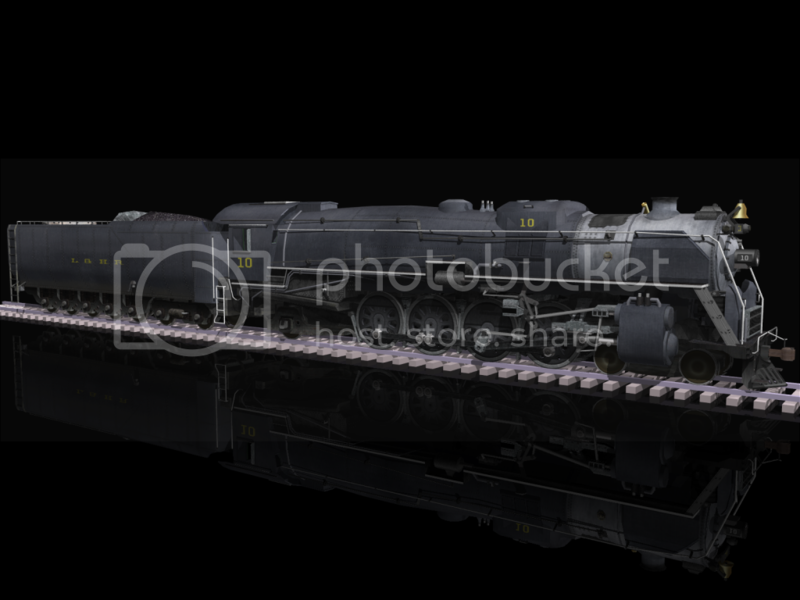 Seeing what you have done building that locomotive with Crafter makes me realize that I still have a long way to go with my own efforts. 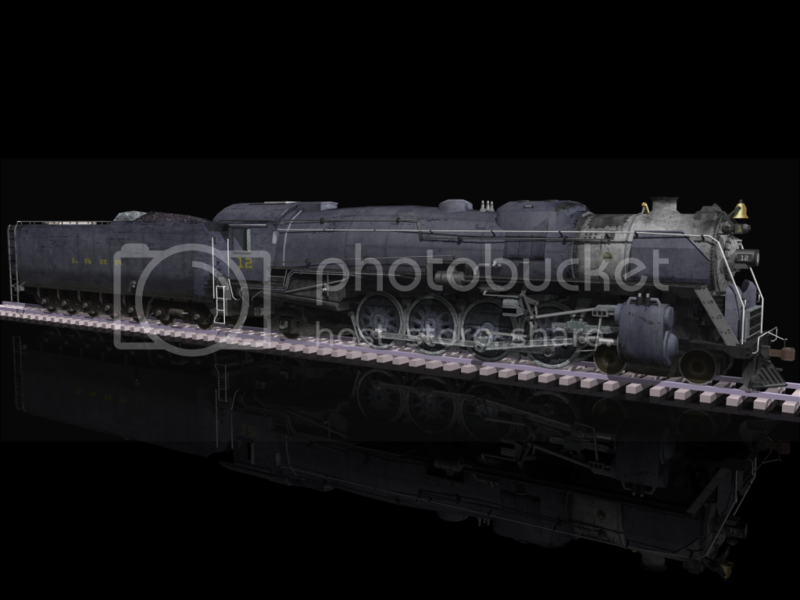 I have just completed building my first steam locomotive with Crafter 9.2.2 – in my case for Railworks -Train Simulator 2013. (http://album.atomic-systems.com/showPic.php/124695/2013-06-05_00026.jpg). I found, however, that Crafter 9.2.2 is quite unstable. Particularly as the locomotive became more complex and more and more groups and objects were added to the scene, run-time errors and similar crashes became increasingly frequent, to the extent that in the later stages of building, they were happening five or six times in a building session. In almost all cases, it was possible to recover the work done when the program was relaunched, (though on one occasion, the recovered model had lost all of its texture information and had to be re-textured), but I am nervous that eventually there will be a crash from which the model can not be recovered. I also found that the program slowed noticeably the more complex the model became and eventually that slowdown led to a crash. I would be interested in knowing if you built your locomotive with 9.2.2 or an earlier version of Crafter/Canvas and if you experienced similar crashes with whichever version you use. I switched to 9.2.2. mainly because of the much greater flexibility that version gives me and the much improved UV texture mapping allowing individual or groups of points to be selected and adjusted. However, I have all the installation files all the various versions of Crafter/Canvas since 7.1.2 and might switch back to one of these versions if it is more stable than the current version. I have a dual boot system – XP and Windows 7, but the same problems arise irrespective of which OS I use. My second question is more technical. Despite all the animations working correctly in Crafter, when I export the loco to Railworks, there is a noticable jerk at low speeds at the end of every rotation of the conrods, piston rods and eccentric rods in the game. Does this also happen in MSTS, or is it a problem only for Railworks? I tried increasing the number of key frames from 16 to 32, but it did not make any difference.